We offer a full range of Tampa property management services tailored to you as an investor, homeowner, or landlord. 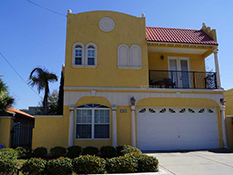 We have an extensive portfolio of single family homes, townhouses, condos, and apartments in the Tampa area. Tampa is the county seat for Hillsborough County and is located on Tampa Bay near the Gulf of Mexico with a population just under 350,000. Tampa was once inhabited by indigenous peoples of the Safety Harbor culture, most notably the Tocobaga and the Pohoy, who lived along the shores of Tampa Bay. It was briefly explored by Spanish explorers in the early 16th century, but there were no permanent American or European settlements within today's city limits until after the United States had acquired Florida from Spain in 1819. Today, Tampa is a vibrant part of the metropolitan area most commonly referred to as the Tampa Bay Area. 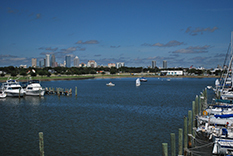 For U.S. Census purposes, Tampa is part of the Tampa-St. Petersburg-Clearwater Metropolitan Statistical Area (MSA), the four-county area composed of roughly 2.9 million residents, making it the second largest MSA in the state, and the third largest in the Southeast, behind Miami and Atlanta. Tampa is home to the Tampa Bay Buccaneers of the National Football League, the Tampa Bay Lightning of the National Hockey League, and the Tampa Bay Storm of the Arena Football League. The Tampa Bay Rays in Major League Baseball and the Tampa Bay Rowdies of the North American Soccer League play their home games in neighboring St. Petersburg, Florida. In 2008, Tampa was ranked as the 5th best outdoor city by Forbes. A 2004 survey by the NYU newspaper Washington Square News ranked Tampa as a top city for "twenty-somethings." In recent years Tampa has seen a notable upsurge in high-market demand from consumers, signaling more wealth concentrated in the area. Tampa hosted the 2012 Republican National Convention. Tampa displays a wide variety of architectural designs and styles. Most of Tampa's high rises demonstrate Post-modern architecture, like the renovated Tampa Museum of Art, while City Hall and the Tampa Theatre reflect Art Deco architecture. Tampa mayor Pam Iorio made the redevelopment of Tampa's downtown, especially residential development, a priority, clearing the way for several residential and mixed-development high-rises. Another of Mayor Iorio's initiatives was the Tampa Riverwalk, a mixed use path along the Hillsborough River in downtown and Channelside. Several museums are part of the plan, including new homes for the Tampa Bay History Center, the Tampa Children's Museum, and the Tampa Museum of Art. Current mayor Bob Buckhorn has continued these developments. Tampa is the site of several skyscrapers. Overall, there are 18 completed buildings that rise over 250 feet high. The city also has 69 high-rises, more than any other city in Florida after Miami. The tallest building in the city is 100 North Tampa, formerly the AmSouth Building, which rises 42 floors and 579 feet. The structure was completed in 1992, and is the tallest building in Florida outside of Miami and Jacksonville. Generally, the city is divided into the following areas, many of which were towns and unincorporated communities annexed by the growing city: Downtown Tampa, New Tampa, West Tampa, East Tampa, North Tampa, and South Tampa. Well-known communities include Ybor City, Forest Hills, Ballast Point, Sulphur Springs, Seminole Heights, Tampa Heights, Palma Ceia, Hyde Park, Davis Islands, Tampa Palms, College Hill, and non-residential areas of Gary and the Westshore Business District.